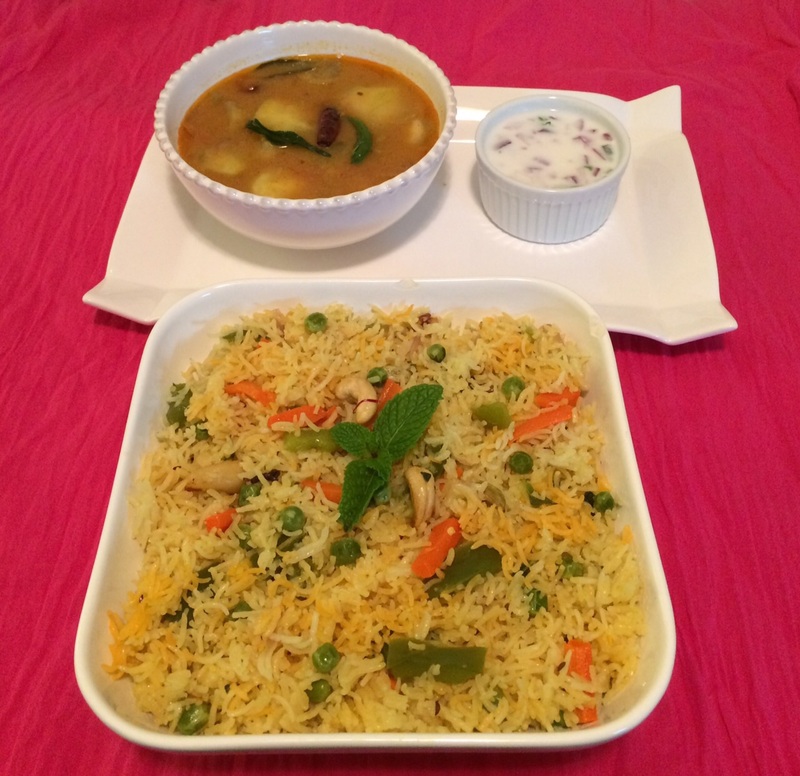 Pulao, also called pilaf is a popular rice dish not only in India but also in South Asian and Middle Eastern countries. Rice is cooked in broth seasoned with herbs, spices and vegetables/meat. It is mild, aromatic, flavorful and is a easy to cook on any busy week nights. As my daughter and I were down with cold after thanksgiving weekend, I craved some hot vegetable pulao with some nice lentil soup. Also, its perfect for my kid’s lunchbox as I could sneak in some vegetables in colorful way. 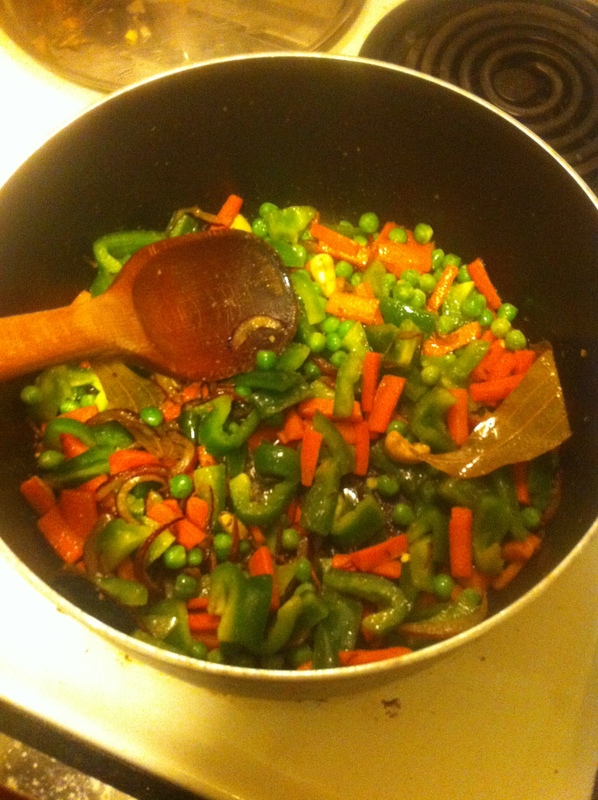 I had few carrots and green peppers left in my fridge, so used them along with some frozen green peas. You could use any vegetables like cauliflower, green beans, broccoli etc., I used saffron and cashews too for that exotic flavor but you can simply skip it. I made it in non-stick pot, but you could make it in pressure cooker or even in rice cooker (See notes). It requires a little practice to get the rice cooked perfectly. Each grain should be separate and rightly cooked. 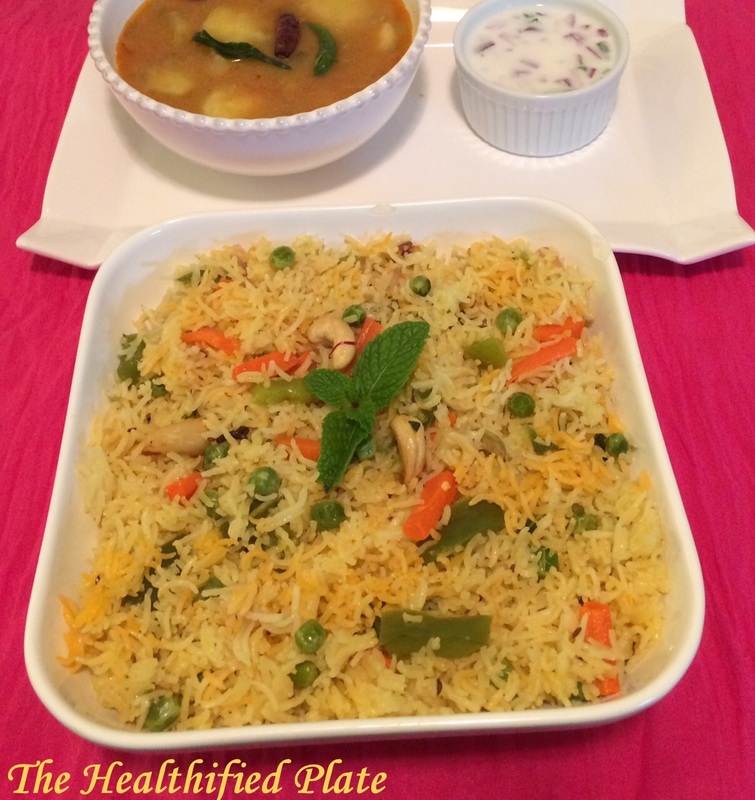 Try this mild and flavorful vegetable pulao and serve with lauki dal (lentil soup with bottlegourd) and roasted papads as I did and your meal is nutritious and filling too. Or pair up with any meat dish for a indulgent meal. Wash the rice and soak it in water for at-least 20 mins. Heat a non-stick pot and add ghee and oil and add the whole spices and let it splutter. Add sliced onions, green chilies and cashews and cook until golden brown. Add ginger garlic paste and saute for a min until raw smell goes off. 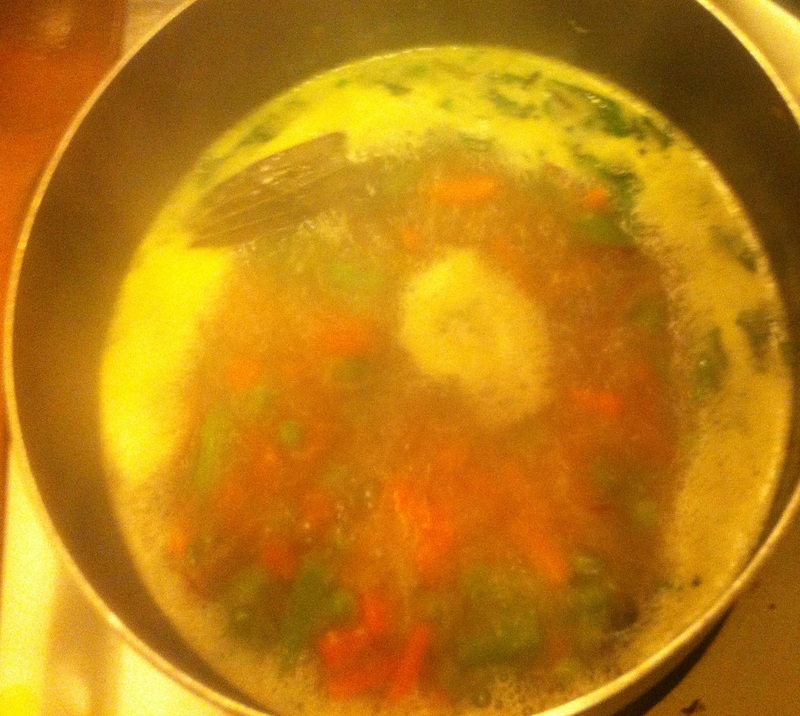 Add remaining vegetables, mint and coriander leaves and cook for a minute. 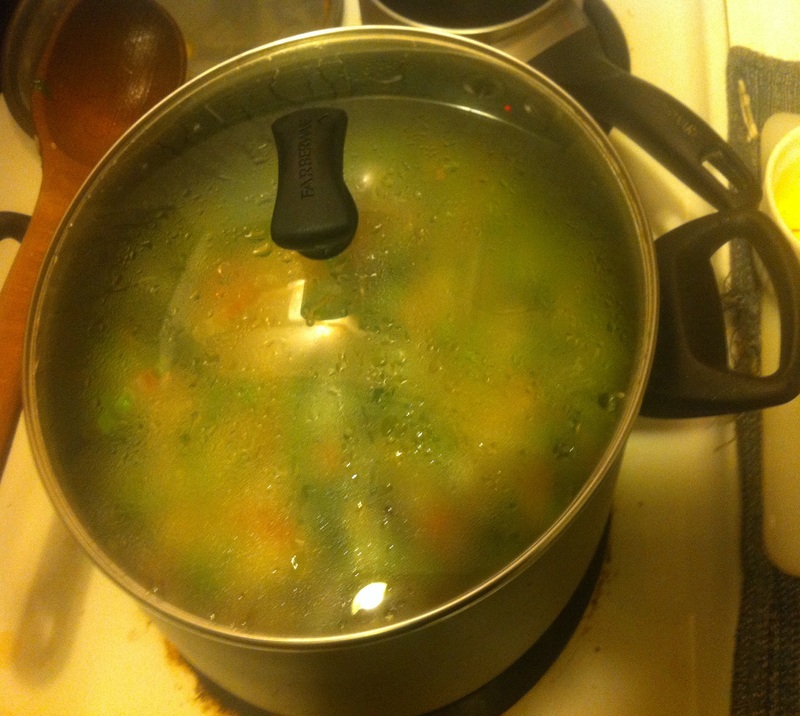 Add 8 cup of water and bring to boil on high heat. Drain water from rice and add rice to the boiling water and also add lemon juice and stir gently so that vegetable don’t settle at the bottom or edges. Cook on high heat until 80% of water is absorbed by rice (about 7-10 mins) and then add color or saffron milk and cover the pot and set it on medium-low heat for 10 mins. Switch off the flame and do not open the lid or disturb the pot for about 15 mins. Fluff the rice with spoon/fork. To cook it in rice cooker, put 4 cups of rice and 8 cups of water in the rice cooker. 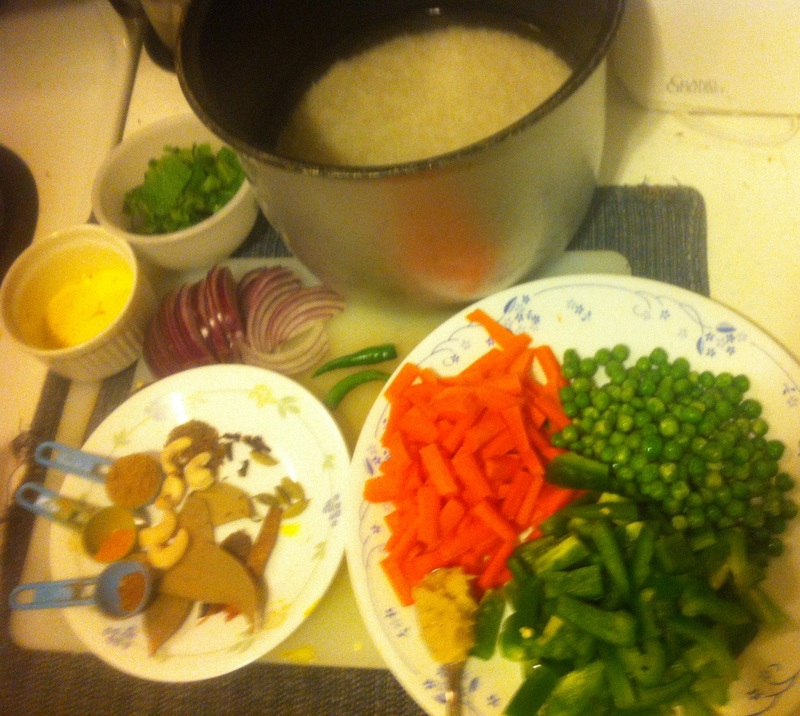 Cook the vegetables from step 2 to step 6 and add it to rice cooker and switch the cooker on. Add lemon juice and after the rice is cooked 80%, add color. 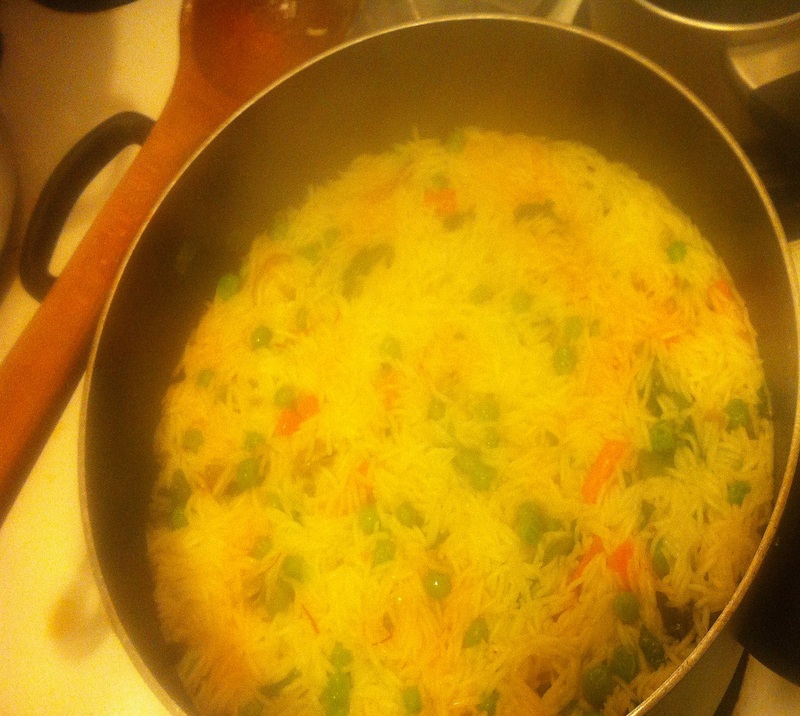 Fluff the rice with fork/spoon after fully cooked. To cook it in pressure cooker use only 7 cups of water for 4 cups of rice and cook for 2 whistles on high and switch off the flame. Open after 15 mins and fluff the rice with fork/spoon.